After years of attempts and various propositions to add premium content via pay TV to the UK's terrestrial TV network, this week marks the end of full-time traditional pay TV services broadcast over the terrestrial airwaves. BT is withdrawing its BT Sport 1 channel this week, six months after it removed BT Sport 2. Services were delivered alongside Freeview channels on the UK's digital terrestrial TV network. BT has been switching affected users to its internet-delivered version of the service. 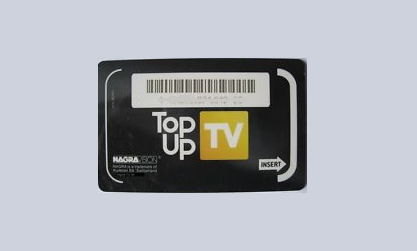 The former terrestrial pay TV provider Top Up TV offered viewers the opportunity to add additional channels to their Freeview service for a small monthly subscription between 2004 and 2013. Its launch came just under two years after pay TV first disappeared from terrestrial TV following the end of ITV Digital. The end of Top Up TV in the autumn of 2013 left BT providing BT Sport 1 and 2 to a restricted group of its customer base with old BT Vision boxes, who lived in areas where broadband speeds weren't fast enough to carry its channels via the internet. Following the closure of BT Sport 2 in January 2015, BT Sport 1 has been the last full-time encrypted channel broadcast terrestrially that has required traditional viewing card. However, internet-delivered pay TV services and part-time PIN-protected services remain on the Freeview Electronic Programme Guide (EPG). It could have been quite different if Sky's plans to launch Picnic, a basic pay TV service replacing its three Freeview channels had been given the go-ahead. First announced in 2007 by Sky, Ofcom gave its approval to the service in 2010, in conjunction with an order forcing Sky to provide its main sports channels to other pay TV providers in a controversial, and still contested ruling. But by 2010, Sky had effectively given up on waiting for Ofcom. In 2008 it announced redundancies among staff involved in Picnic. Then, in late 2009, Sagem Picnic-ready Freeview boxes were sold off cheaply at branches of Currys. Reference to Sky's proposed pay TV service in the documentation were covered over by dark labelling. Sky came back two years later with a new basic pay TV service, circumventing Ofcom's regulatory jurisdiction, by launching Now TV as an internet-based service, targeting Freeview homes who wanted low-cost, entry-level pay TV. And the internet ultimately killed off any hope of a multi-channel terrestrial pay TV service: cheaper distribution free from the technical, regulatory and coverage constraints of terrestrial TV, along with the ability to provide catch-up TV and vast libraries of on-demand content enabled Sky and new players such as Netflix to provide low cost access to content accessed by the increasing numbers of connected TVs, boxes and dongles. As traditional terrestrial pay TV services dwindled, new operators seeking to fuse Freeview and online services have entered the market. YouView was launched in 2012 as a way of bringing both delivery platforms together. Now BT, TalkTalk and Plusnet offer pay TV add-on channels to viewers via the internet. Racing UK and VuTV provide viewers with premium content delivered via the internet and accessed via portals linked to Freeview channel numbers, compatible on an increasing number of connected Freeview HD certified devices. Initially restricted through channel numbers low down the Freeview EPG, incompatibility with YouView and issues about compatible receivers, the forthcoming launch of Freeview Play and its connected credentials should help raise awareness of online TV services. Two adult channels continue to offer a simple pay TV service during the night time hours on the UK's terrestrial TV network. But without a supply chain for terrestrial pay TV receivers and viewing cards based on traditionally encrypted over-the-air channels, these channels are blocked by an application which is launched when selecting their Freeview channel number. A paid-for PIN is required, which then redirects users to the service. With the ongoing push to connected TV services, helped by the UK's expanding superfast broadband network and new 4G mobile services, plus changes to the number of frequencies allocated to terrestrial TV from the end of the decade and doubts over the platform's existence beyond 2030, the odds are against pay TV services becoming widely distributed over the UK's terrestrial TV airwaves once again. On Digital launches as digital terrestrial TV arrives in the UK. On Digital is re-branded ITV Digital. ITV Sport Channel launches. ITV Digital collapses. In October, Freeview is launched. Top Up TV launches, offering a basic range of part-time pay TV channels alongside Freeview. Setanta launches a pay-per-view SPL football service across the UK. Top Up TV loses some of its capacity, launches new Anytime service. A primitive service to today’s standards, the Anytime service pushed content delivered via terrestrial TV every night on to subscriber’s Top Up TV PVR, which created a library of programmes to be viewed by the subscriber on-demand. Setanta, now a regular pay TV channel ceases. ESPN UK takes over with its new service during the summer. BT enters the terrestrial pay TV market, putting Sky Sports 1 and 2 on terrestrial TV. Access to the channels is shared between BT Vision and Top Up TV users. TView, a short-lived service on channel 32, launches. It suffered from a major flaw which enabled viewers to access the service for free and abruptly closed down. Sky Sports 1, 2 and ESPN cease broadcasting on digital terrestrial TV following the end of the 2012/13 football season. BT Sport 1 and 2 launch, alongside a special free-to-air version of BT Sport, which provides open access to selected content, and promotional content. BT Sport 2 closes in January, BT Sport 1 in June. I know they've got Youview but BT surely missing a trick by not linking up with Arquiva to offer their sport service via a slot in the EPG. Indeed you'd think they'd up their game in the whole Smart TV etc. market to further make the point that you don't need to have Sky to get premium sport.